Solar Thin Film Technology grew rapidly despite falling costs of the mainstream photovoltaic crystalline silicon technology during 2011. While a number of weaker hands in thin film downed shutters, thin film producers continued to grow and expand. Thin Film Technology, unlike c-Si, has a number of variants; Amorphous Silicon (a-Si), Copper Indium Gallium Sulphide (CIGs) and Cadmium Tellurium (Cd-Te) are the three main types of thin film technology. CIGs technology is said to have the most potential for improving efficiency and competing with c-Si. However, the Cd-Te is the most popular amongst the three, as the world’s biggest solar producer First Solar currently uses this technology. However, the thin film popularity has been slowly fading currently. There are now only a handful of thin film manufacturers left, with many smaller ones on the verge of closing. There were numerous bankruptcies during the last major downturn in 2008. Most of the thin film startups have gone belly up and only two significant thin film companies survived – First Solar and Solar Frontier. Solar Frontier is the only CIGs company that has significant market share. 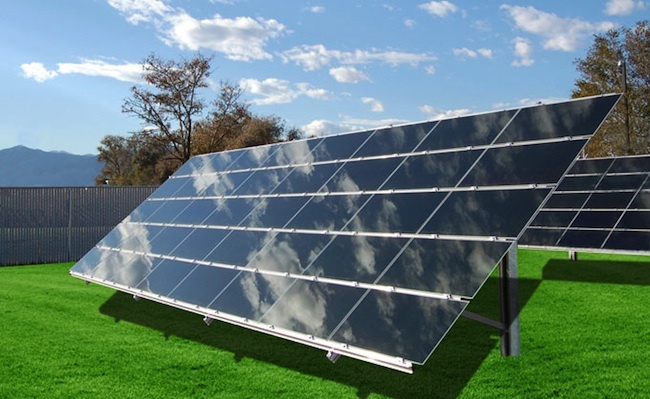 The thin film market share has fallen by more than half to just 7% in the current global solar panel market. Thin Film can only work in niche applications such as flexible panels as well as BIPV applications. Mainstream use of thin film panels does not look feasible as silicon panels have gotten a huge lead over thin film. 1) First Solar – First Solar is the only Solar Thin Film Manufacturer in the world and a benchmark for other thin film companies thinking of making it big.The company was promoted by Wal-Mart promoters. This US based company uses Cadmium Tellurium (Cd-Te) Technology and is the lowest cost panel producer in the world today if you don’t include any penalty for low efficiency.Even if you penalize the Cd-Te Technology for its lower efficiency vis-a-vis the higher efficiency crystalline technology. There is little doubt about First Solar’s ability to survive and flourish due to its massive first mover advantage. 2) Solar Frontier – Solar Frontier is a subsidiary of Showa Shell Sekiyu and is listed on the Japanese Stock Exchange. All its three plants are located in Miyazaki in Japan and uses previous plasma plant of Hitachi. Solar Frontier claims 11.5% efficiency for its CIS modules which are expected to go upto 14% by 2014. The Company is spending around $1 Billion in Capex for building the 1 GW capacity implying roughly $1 capex/watt which is not exactly cheap though not very expensive either. 3) TSMC– TSMC recently bought a 21% equity stake in CIGs startup Stion for $50 million. The partnership will involve TSMC licensing Stion’s technology and doing joint research on further enhancing the technology. Stion has claimed that it has achieved a >13% efficiency and plans to increase it to 15% in the near future. TSMC has been quietly making further investments to build a large capacity in Taiwan using this technology.It recently bought module making equipment from another Taiwanese company and has also invested a substantial amount in constructing buildings and facilities for the new CIGs fab.TSMC has earlier invested in c-Si through a equity stake in Motech. 4) Masdar –Masdar PV the Abu Dhabi backed Renewable Energy company is facing problems with it its thin film business, recently firing top executives at its German thin film division. It uses SunFab Technology which has been shuttered by Applied Materials. The company ships some thin film modules here and there but is no longer an important player. 5) Saint Gobain- Hyundai – Global Glass Giant Saint Gobain is expanding its presence in the Solar Energy Manufacturing by partnering with Hyundai Heavy Industries to build a CIGs plant in South Korea with a $198 mm investment. The 50:50 JV which will be known as Hyundai Avancis will be situated in South Korea which is one of the hottest Green Geographies in the world currently. 6) Ascent Solar – This US Based Company has a long history of making Thin Film Panels on Flexible Substances. The company is trying to survive against the onslaught of competition through strategic tie-ups with a number of companies around the world which will uses its Niche Technology. 7) Trony Solar – Trony Solar is the largest Solar Thin Film Producer in China and uses a-Si Technology to producer Solar Panels used mostly in Off-Grid Applications. The company uses its own custom made equipment and manages to get decent margins for its products. The company recently listed on the HK Stock Exchange.